Click on the Play Button and 'Orion Trail' will start after this message... Thanks for waiting! Help Jared and Rick survive in this graphic adventure. 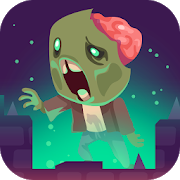 Pick up all kinds of objects and use them to prevent the zombies from catching you. Orion Trail is a unique space adventure where you'll control the captain of Indestructible II, Galaxy Force's flagship. Explore this mysterious place and try to survive.